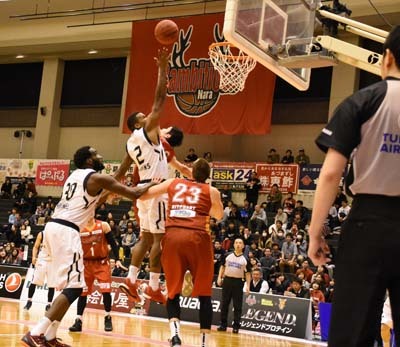 Ryukyu Golden Kings scored a pair of convincing wins against Nara Bambitious in their weekend road game series at Yamatokoriyama Comprehensive Park Gym in Nara Prefecture. The score on Saturday was 81-61 for the Kings and a little less brutal 91-81 on Sunday. Evan Ravenel scored 23 points and grabbed 8 rebounds on Saturday. The wins were the sixth and seventh in a row for the Kings who have already secured a place in the playoffs, and won 16 of their 20 road games this season. 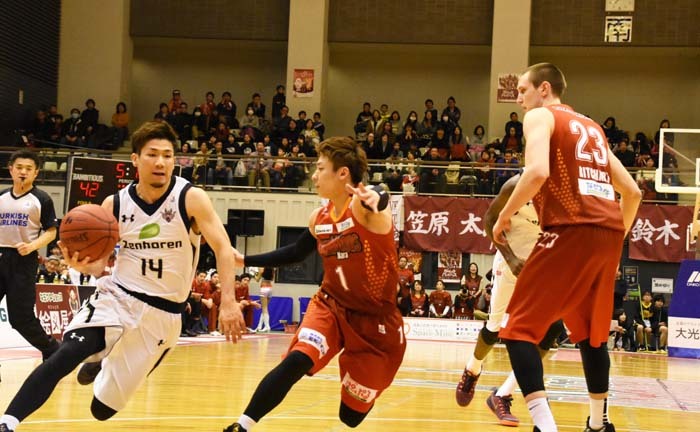 The Saturday game did not start good for the Kings as during the first half of the game they kept piling up fouls and had some difficulty scoring while Nara took the lead. Things changed from the third quarter as the team found the groove and Evan Ravenel and Ryuichi Kishimoto revved up their engines. 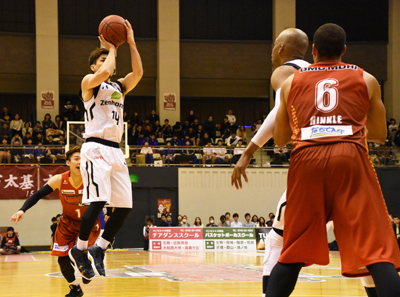 At the end of the game, Ravenel had scored 23 points and eight rebounds, while Kishimoto tallied 13 points and seven assists. Anthony McHenry added 10 points for a good measure to nail the win. Draelon Burns and Evan Ravenel making havoc at Bambitious’ hoop. 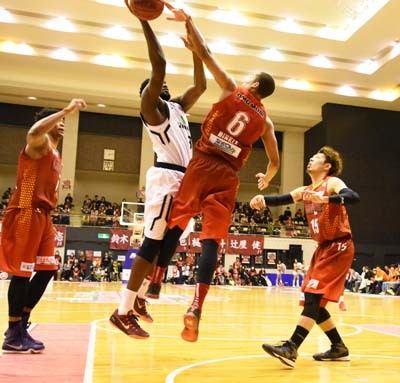 On Sunday Ryukyu’s offense proved too much for the opponents as the Kings’ Morihisa Yamauchi and Shuhei Kitagawa scored 19 points each. Kishimoto sank in 16 points and had five assists, and Evan Ravenel took is a little easier than on Saturday scoring 13 points.